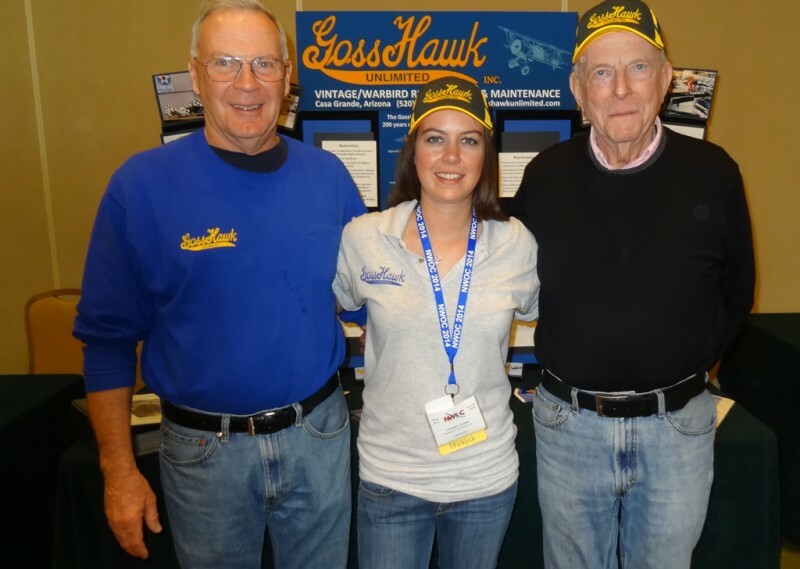 GossHawk Travels to Dallas, TX for NWOC 2014 | GossHawk Unlimited, Inc.
Dave and Lindsey Goss traveled to Dallas, Texas to attend the 20th anniversary National Warbird Operator Conference. The conference was held February 20th through the 23rd, packed with seminars and activities. GossHawk participated as a sponsor, and setup a display. 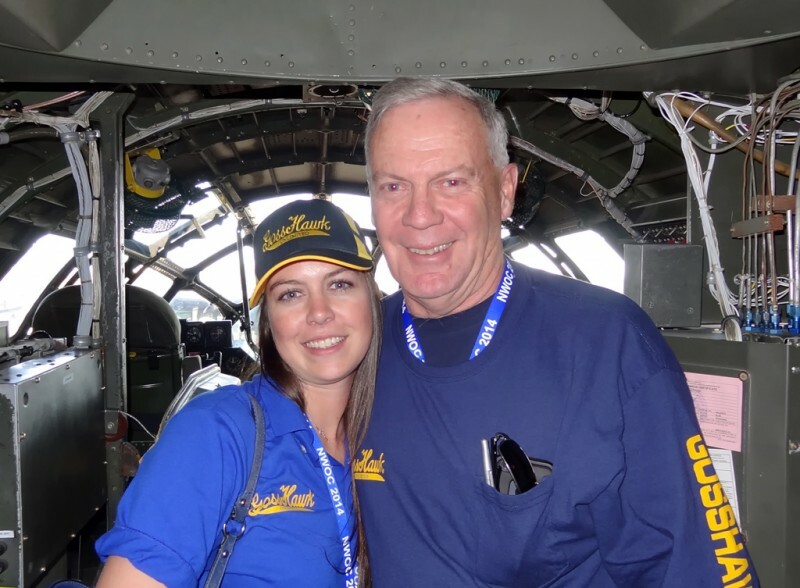 Dave and Lindsey were able to see old friends, take a tour of the 6th Floor Museum, make new friends, attend seminars, and see all the great aircraft at the Cavanaugh Flight Museum. 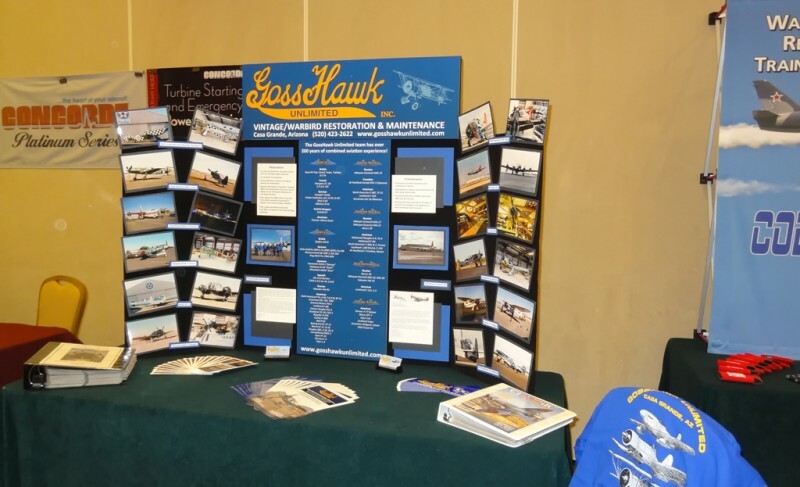 GossHawk Display at the National Warbird Operator Conference. Dave Goss and Lindsey Goss were honored to meet and talk with WWII Veteran Jerry Yellin. 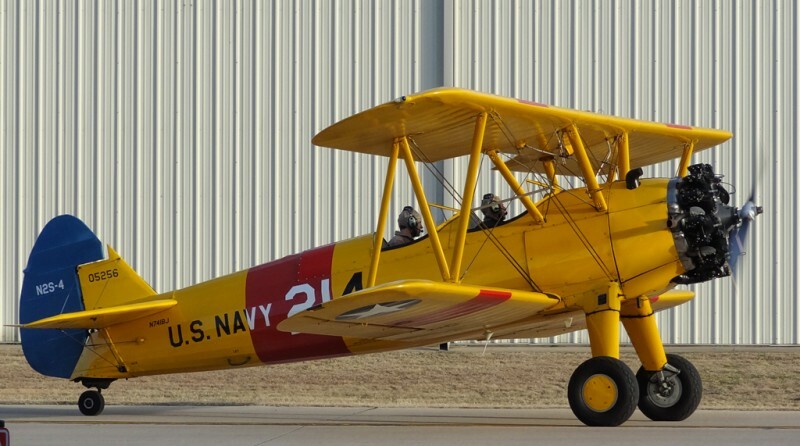 Jerry Yellin going up in the Stearman. Dave and Lindsey Goss toured Fifi. 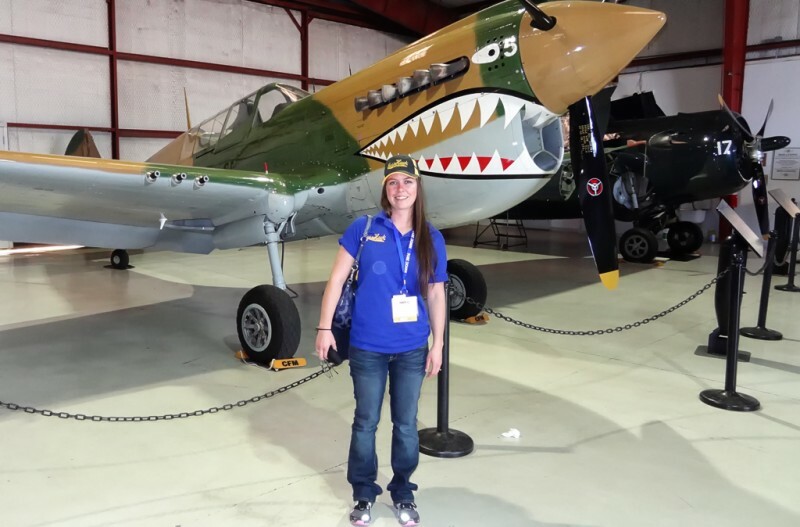 Lindsey Goss stands with the Curtiss P-40 at the Cavanaugh Flight Museum. 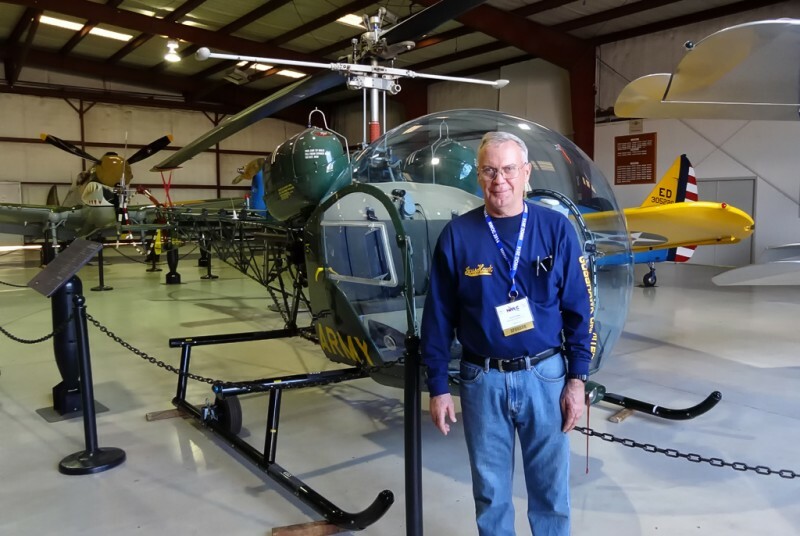 Dave Goss stands in front of the Bell 47 at the Cavanaugh Flight Museum. 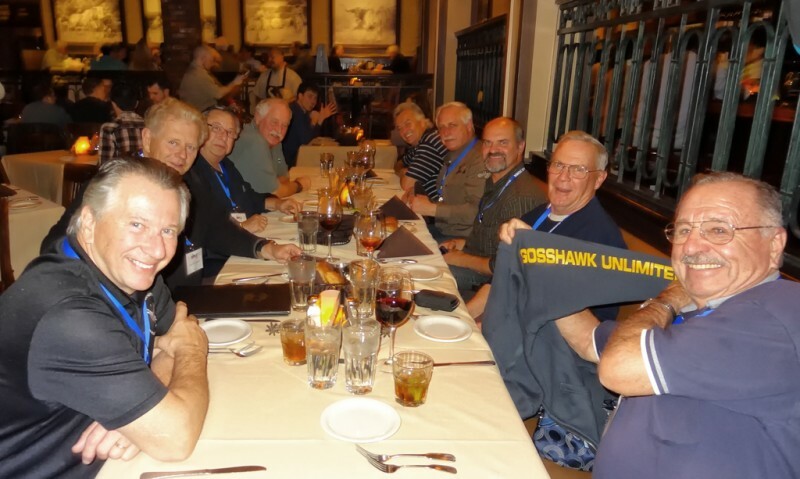 After seeing the 6th Floor Museum, Linc Dexter took Lindsey and Dave Goss out to dinner, and enjoyed a nice steak dinner with other friends at NWOC. 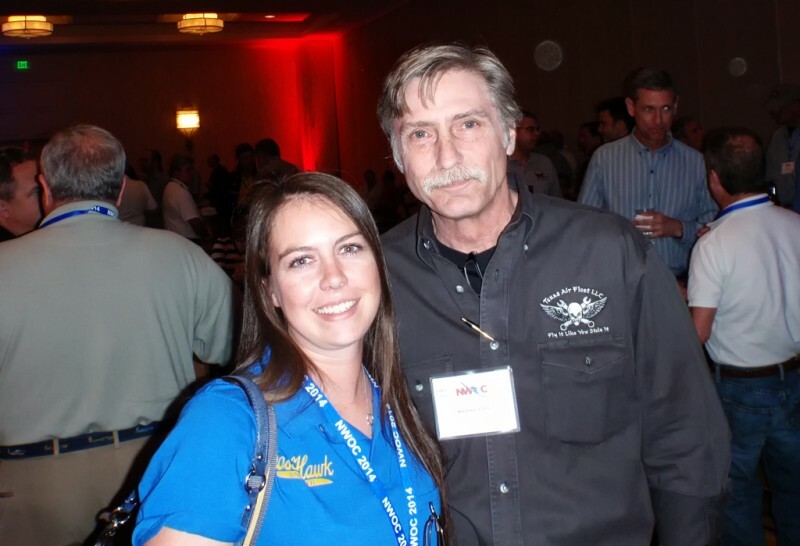 Lindsey Goss met Kevin Lacey at NWOC.